I dedicate my life and purpose to my partner and muse who has always given me so much. 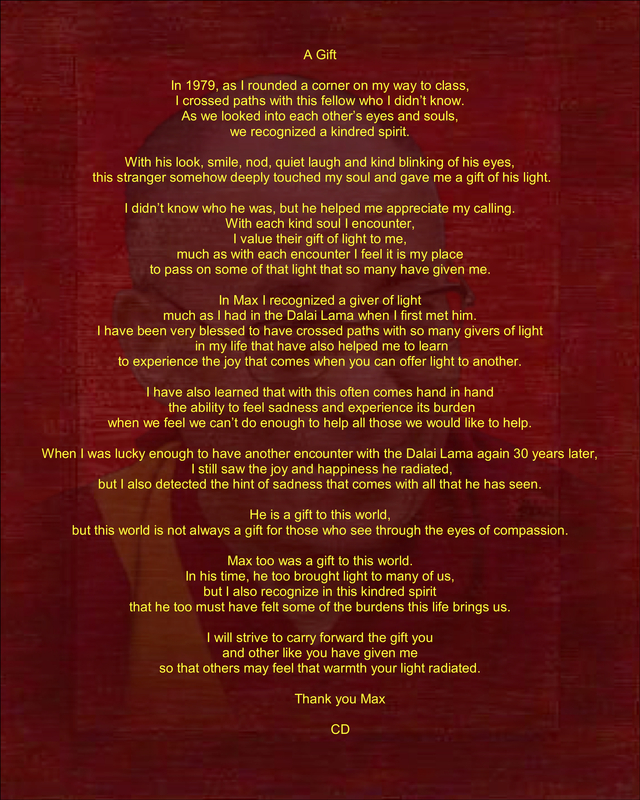 I dedicate this site to the inspiration left with me by Max, and others like him, whose energy lifted all he encountered and who left us too soon and whose light we carry forward. While some might say “this world was never meant for one as beautiful as you” there are many of us that feel blessed that you spent time with us here.